My Aunt, who hosted us in her downtown office building so early in the morning, so we could keep warm, came in at her personal best of 2:21:25! 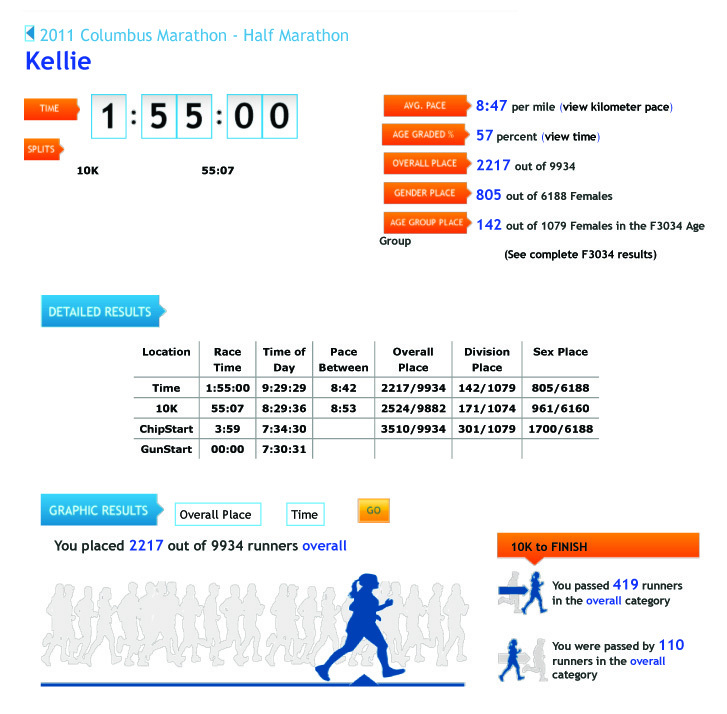 The Columbus Marathon website broke down everyone’s race in some unique ways. Pretty neat. When I receive a few more pictures I will include them! Previous postColumbus 1/2 – This weekend!